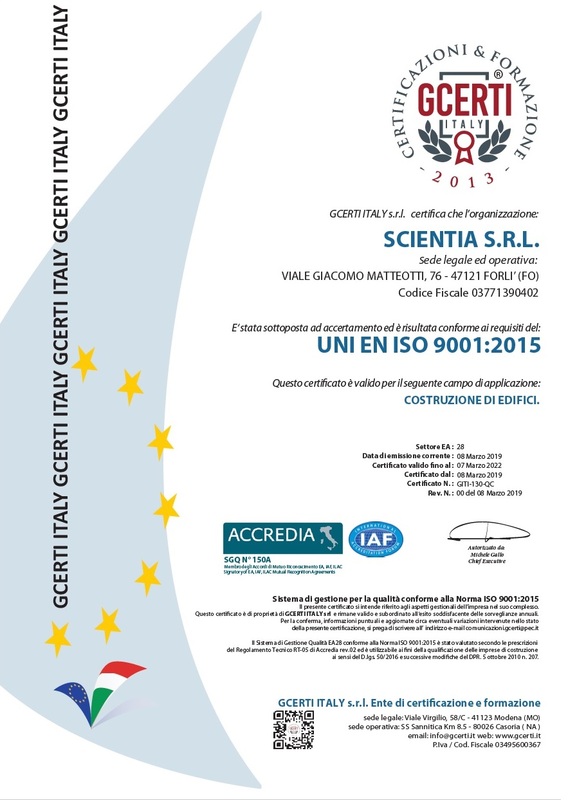 The UNI EN ISO 9001 standard (Certification of the Quality Management System) is an international standard that specifies the requirements of an effective and efficient Quality Management System, such as to demonstrate the organization’s ability to supply products that meet the requirements of the customer and the applicable cogent ones. 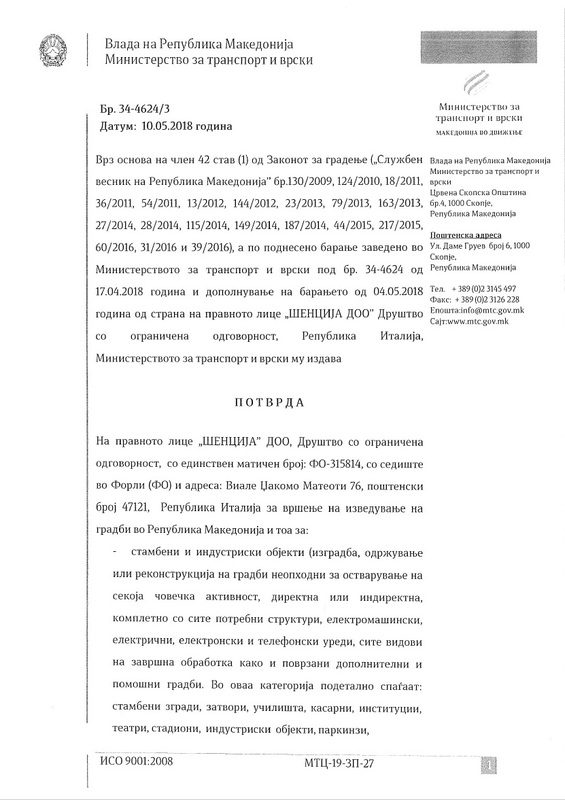 The standard promotes the adoption of a process approach in the development, implementation and improvement of the effectiveness of a quality management system in order to increase customer satisfaction by respecting the customer’s requirements. 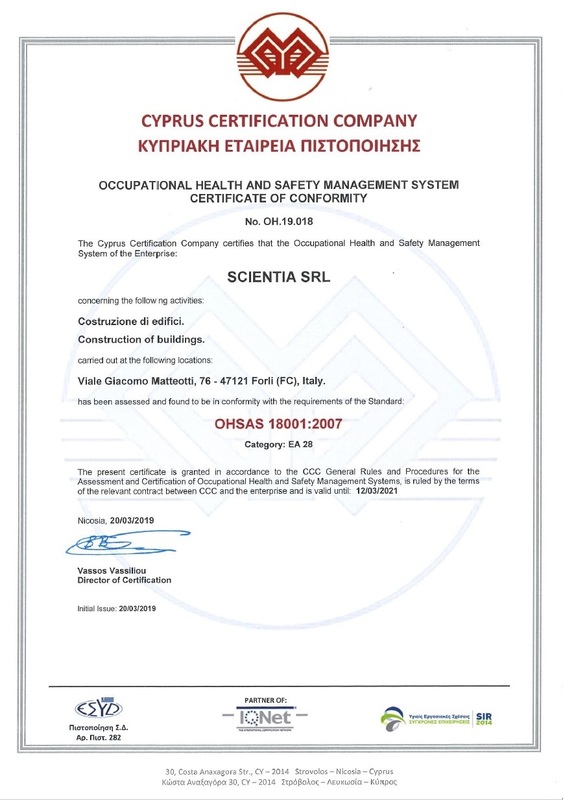 The BS OHSAS 18001 (Certification of the Occupational Health and Safety Management System) is an international standard that specifies the requirements for a Management System for the SSLL that allows an organization to develop and implement a policy and objectives that take into account the legal requirements and information on the risks inherent in the SSLL by providing organizations with the elements for its effective application. 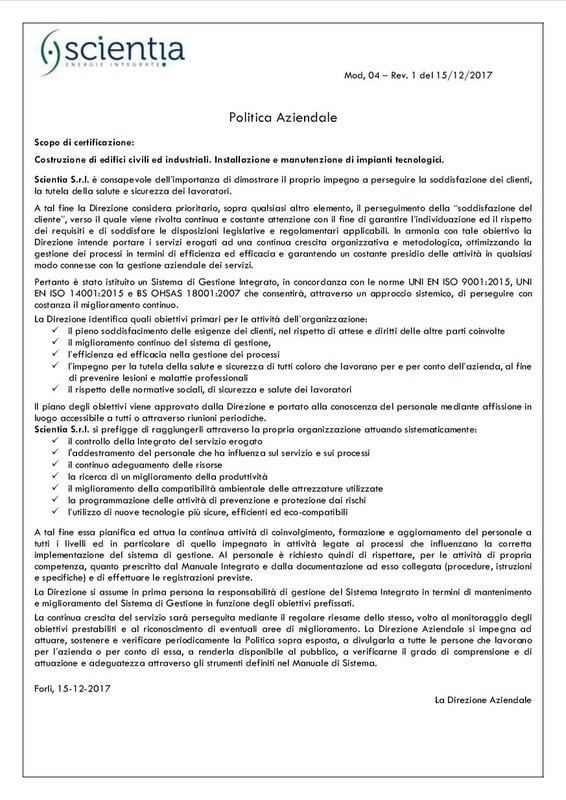 It supports and promotes good practices in balance with the socio-economic needs of the Organization. 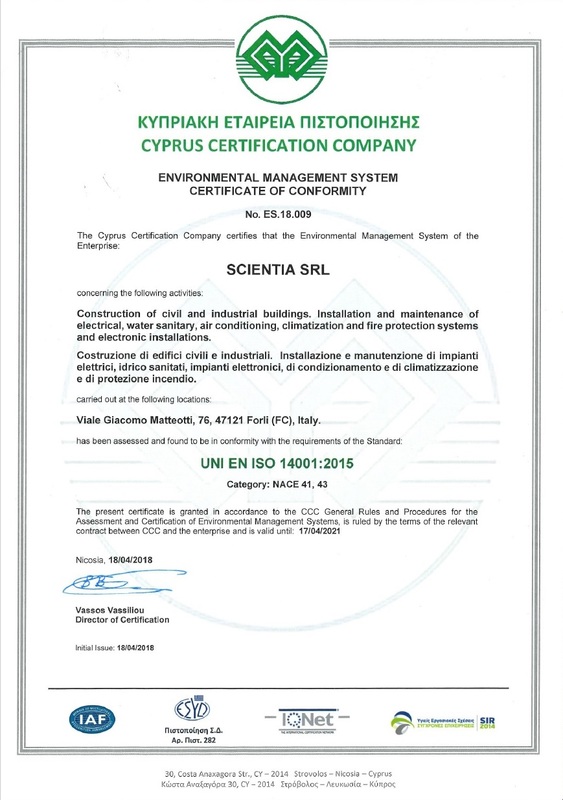 The UNI EN ISO 14001 standard (Certification of the Environmental Management System) is an international standard that specifies the requirements of an Environmental Management System to allow an organization to develop and implement a policy and objectives that take into account the legal requirements and of the other requirements that the organization subscribes and of the information regarding the significant environmental aspects. It supports and promotes good practices in balance with the socio-economic needs of the context in which the Organization operates. 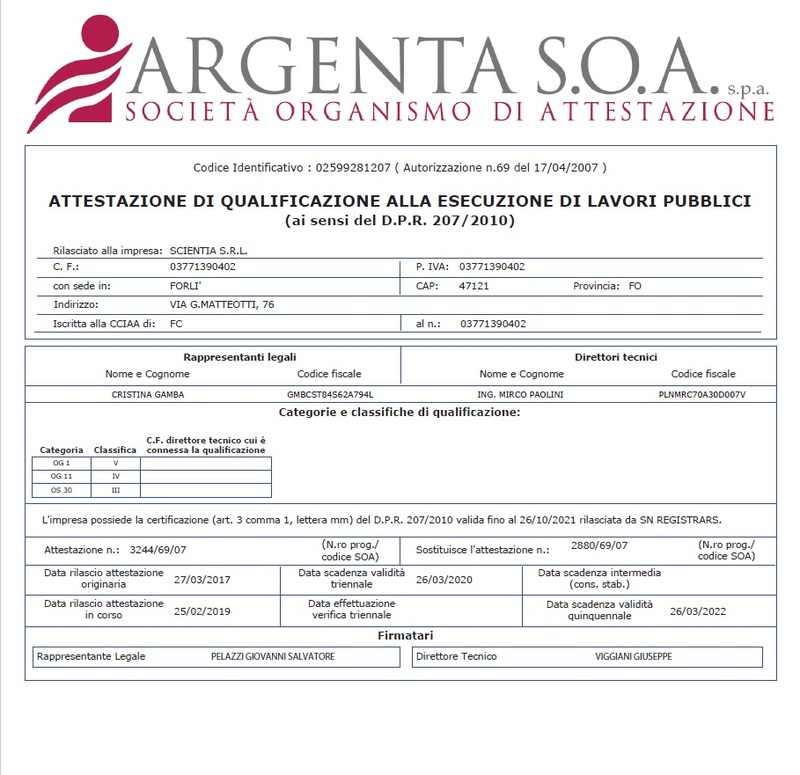 The SOA certification is the compulsory certification for participation in tenders for the execution of public works contracts, or a document necessary and sufficient to prove, during the tender, the ability of the company to perform, directly or in subcontracting, public works works with an auction base amount exceeding € 150,000.00; it certifies and guarantees the possession of the construction sector requirements of the current legislation in the context of Public Works Contracts.